Even before one enters Kraken’s Lair you are warned of the danger. 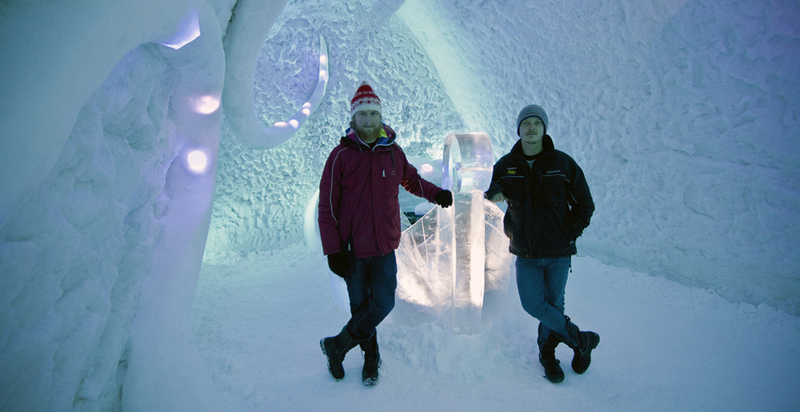 Beware of the snow tentacle that wraps around the suite entrance and grabs you from the corridor. Tumbled and tossed by the sea you breathe deeply as you try to escape this historic sea monster. Looming snow tentacles that sway with the tides are everywhere. Swim to safety as you enter the beautifully sculpted ice Viking ship, take shelter from Kraken and rest as you regain your strenght. 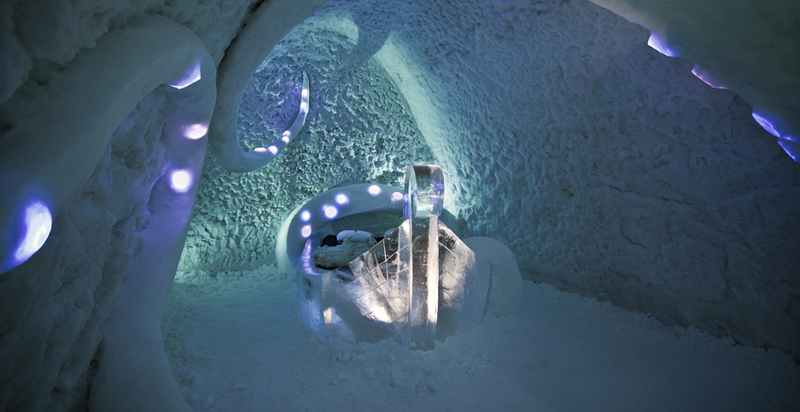 Swedish designers Karl-Johan Ekeroth and Christian Strömqvist bring incredibly executed fantasy and folklore to ICEHOTEL. They make building with ice and snow seem like child’s play. Each designer has taken risky journeys in life leaving all familiarity to seek adventure in higher education. Good thing they had their own Viking foresight to protect and guide them. 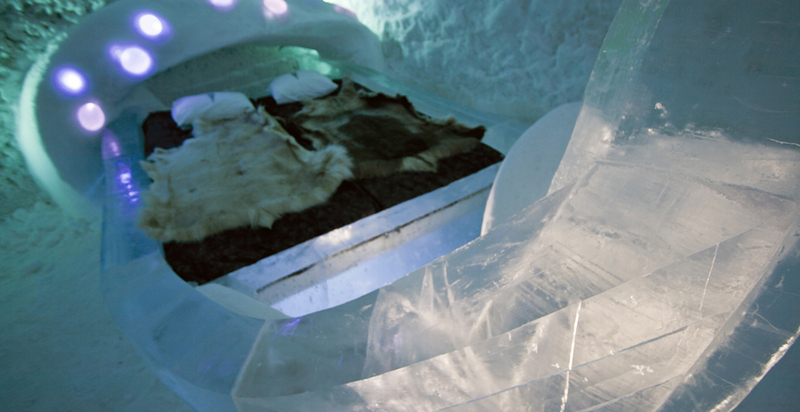 ICEHOTEL’s ideas originate from the place we stand on; Jukkasjärvi. The river Torne that flows outside our office windows, the cold arctic climate, The Northern Lights and the Midnight Sun. Every season allow us to get inspired by the river, whether it is crystal clear ice, rapids shooting on a riverboat or a magnificent, recently caught grayling. This is what we have promised to offer the rest of the world; with Jukkasjärvi and Torne River as a starting point, develop and offer sensuous, inspiring and unique experiences within art, nature, accommodation and gastronomy. That reflects all seasons of the year. 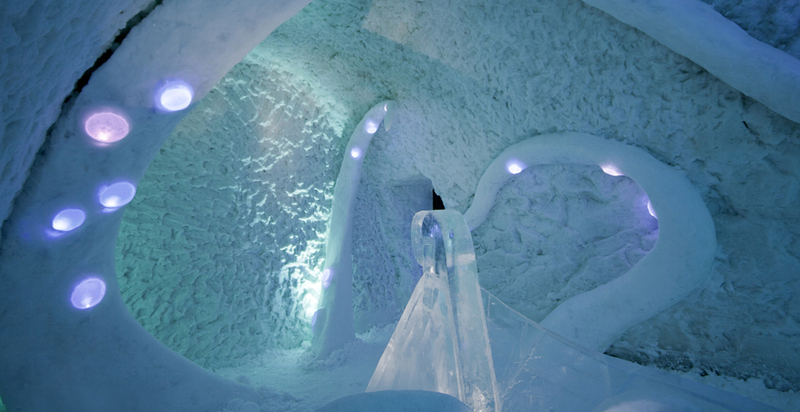 So it is not a only a hotel we build each winter, it is an ephemeral art project. And it is not a menu we create for every season, we cultivate the many flavours of Swedish Lapland.